A have been reading the blog Primitive and Proper for a while now, and it clicked one day that a lot of her house has been featured on her own blog and is very inspiring and full of great ideas. 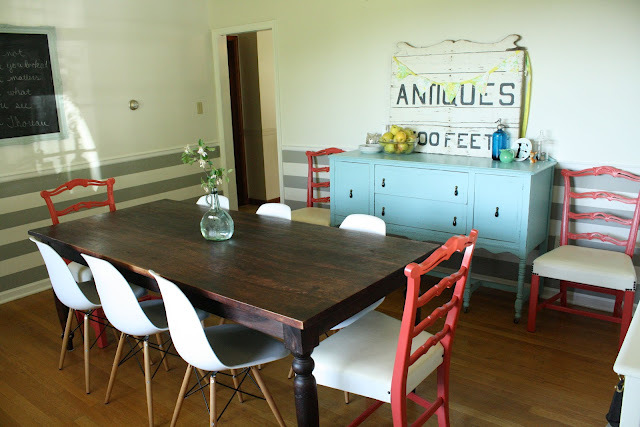 The dining room has seen a few different chairs, including my favorite, the Eames chairs! Who isn’t jealous of the blogging nook? Thats right, a blogging nook. What more would you expect in a bloggers home? The boys room is so creative without looking so themey. There is a subtle star wars reference, but not in your face registered logo sheets themey. 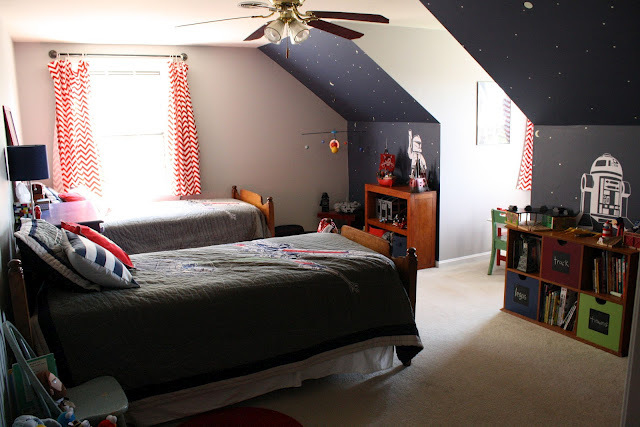 I love an adorable shared boys bedroom. 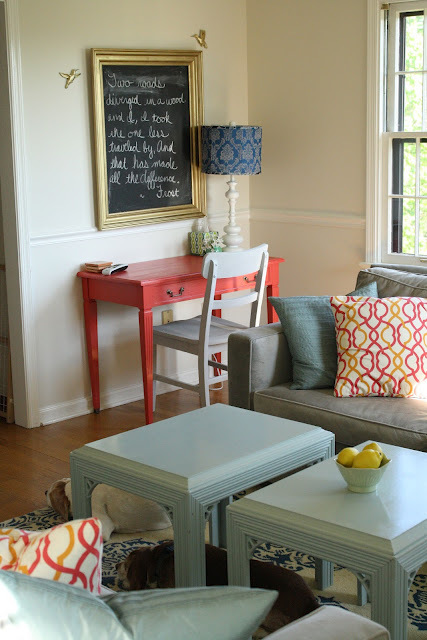 You can see the rest of the home and a full bloggers house tour Here. Other bloggers homes are featured here: Nienie, Nat the Fat Rat, Danielle Oakey, Match Interiors, and Oh Happy Day. 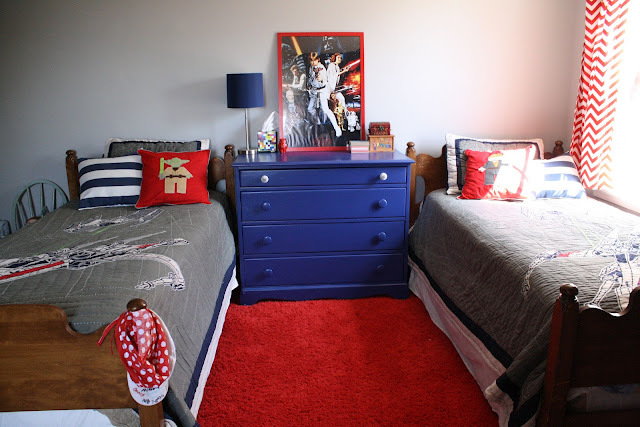 Love love lobe the boys room. 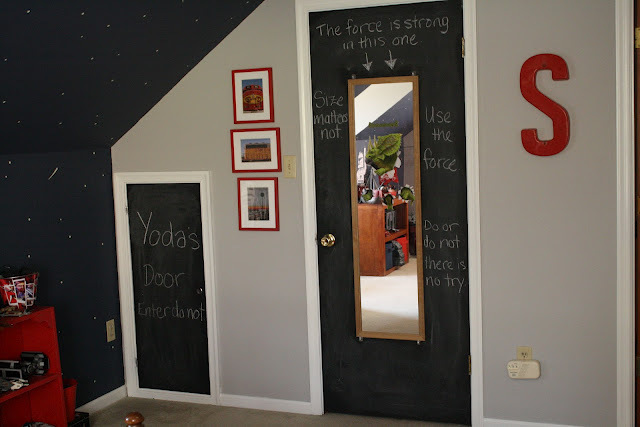 I am doing a subtle star wars theme in my boys room. Where did you find the bedding? Pottery Barn Kids sells star wars bedding. That is where this came from, but I am not sure they have the same ones still.